I have both of these and absolutely love them! 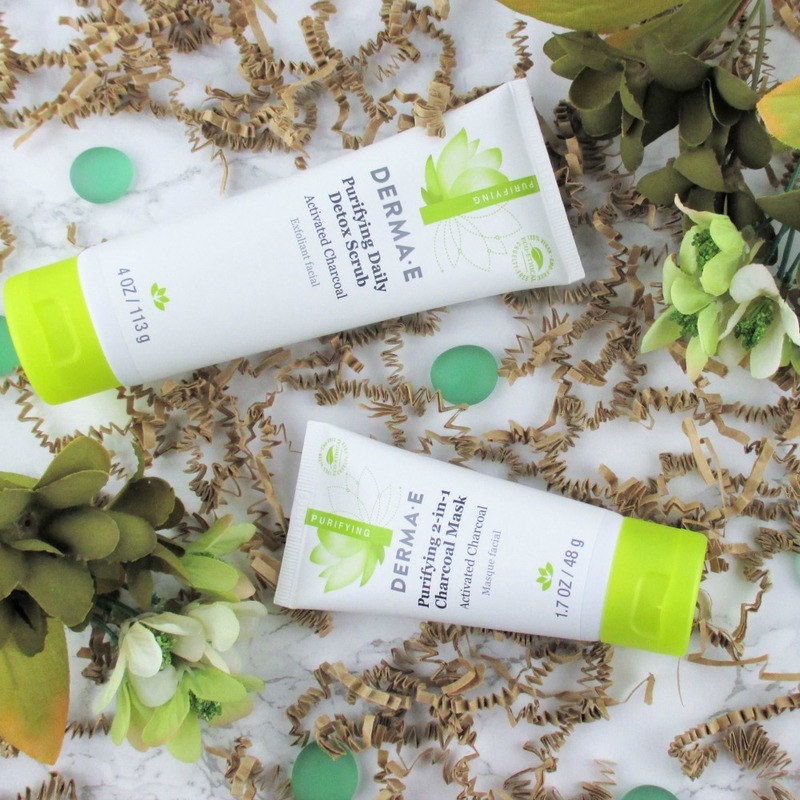 I agree with you completely about Derma-E, I love their products so much– plus they are so affordable! The brand is just so, so good! Just did a giveaway with these cult classics! I thought about doing one but I'm working on a rebrand, I don't need a giveaway in the middle of it! lol I'll hang on to the goodies, for a giveaway, after. I am in the process of changing my skin care routine to all Derma E products. Much research showed that they are a top favorite among cruelty free skin care! These sound amazing. I love the price point on all the Derma E products, considering how great the ingredient list is! The detox scrub sounds delightful! I've tried the charcoal mask and really liked it! I want to try both of these. I want to treat myself to some face masks/scrubs. Very lovely products! I used the mask today and it rocks! I haven't used anything from Derma e in quite a while. Lisa often reviews them for our blog but I haven't lately. I need to change that. I love Derma E! I just wish these didn't have seaweed. That mask sounds like something I would use regularly. I am a huge fan of charcoal skincare so I really gotta get my hands on these! I love all of the DermaE charcoal ingredient products. Actually, I love most everything that I've tried from them!! I love charcoal masks so I will totally be checking this one out!!! I'm using their Vitamin C serum daily and I really like it! They make a lot of great masks and serums.